In early November, a new mall opened in Bangkok. 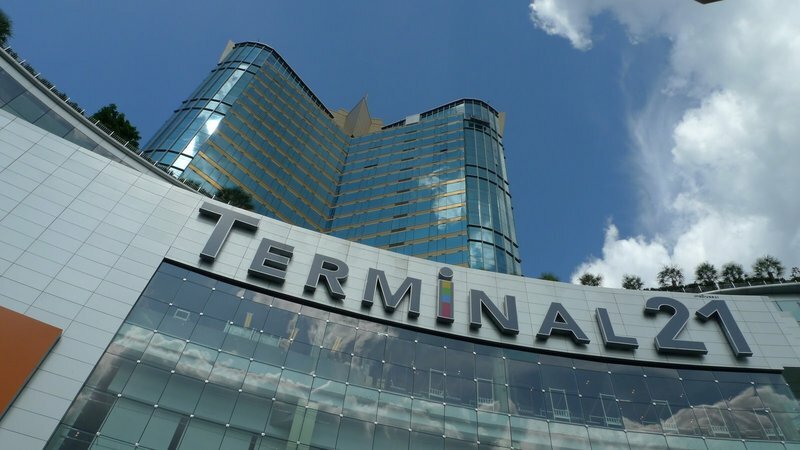 Terminal 21, located adjacent to the Asoke Skytrain station along Sukhumvit Road, is a 9-story mall with 20 stories of serviced apartments and office space above the mall. What sets this mall apart is that it is themed as an airport. By an “airport theme” I mean that there are many airport motifs throughout the complex. These range from information boards that looks like the digital “arrivals” and “departures” flight information displays you see at an airport, to the escalator signage looking like they indicate the directions to different gates, to each floor being themed after a different international city. 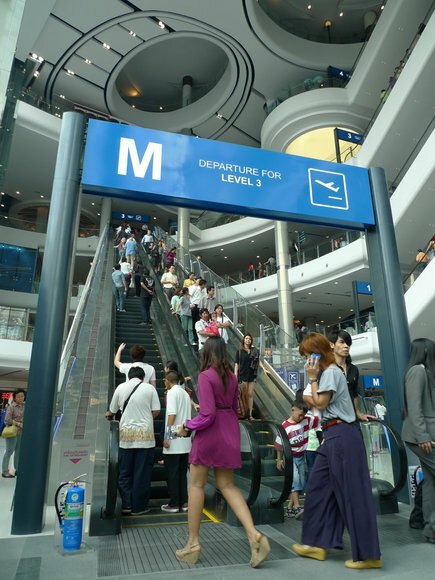 “Departure for Level 3” reads the sign above the long escalator that ascends from the mezzanine floor to a point halfway up the mall. 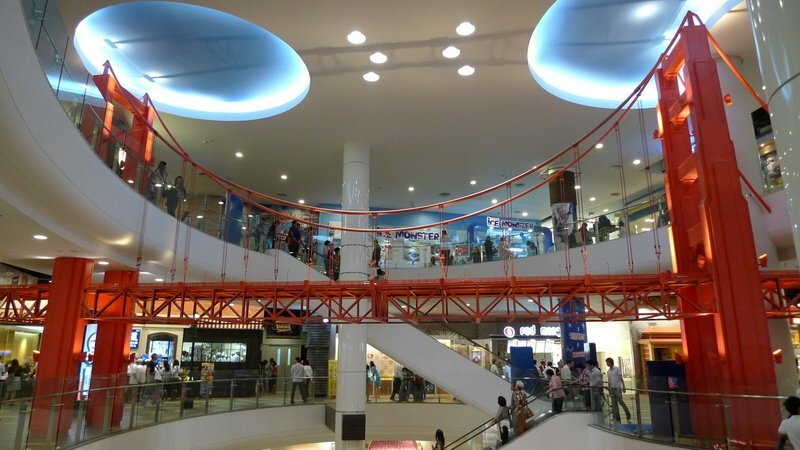 Given its fantastic location, the mall has been crowded since its opening several weeks ago, filled mostly with local sightseers, much like the international airport was when it first opened. Floors include Tokyo (left), Istanbul, Rome, and Paris (right) with each floor decorated in a manner meant to evoke the feel of the city. Lots of visitors are stopping to take pictures with these decorative items, leading to the likely chance that you will walk through the frame of someone’s picture at some point or another. Even the mall security and cleaning staff are uniformed appropriately for the floor on which they work. Yes, that means that on the Paris floors the staff cleaning the toilets are dressed like French maids. The San Francisco floor has a miniature Golden Gate bridge spanning an atrium. The only shops on this floor are restaurants, which seems appropriate for a city well-known for its food. I’m not sure that the selection of restaurants would necessarily do the City by the Bay proud, though. 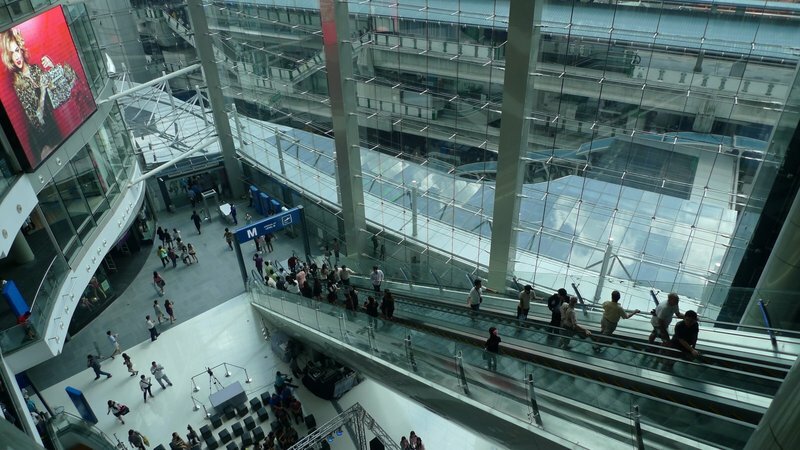 With its location adjacent to both the Skytrain and subway stations, Terminal 21 is positioned at a literal crossroads of Bangkok, accessible to customers from many corners of the city. The mall looks like it has targeted the middle of the market: there are many popular stores but no high-end ones and there are also a large number of smaller boutiques featuring local independent businesses. 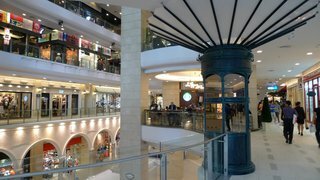 Compared to other malls in the city, it is not nearly as fancy as Central Childlom or Siam Paragon but is much nicer than Platinum or MBK. I suspect it will be a winning formula. This entry was posted in Uncategorized and tagged 21, airport, Asoke, Bangkok, infrastructure, Krungthep, Mall, Retail, Sales, shopping, Sukhumvit, Terminal, Terminal 21, Thailand by christao408. Bookmark the permalink. WOW ! all is very modern in Bangkok, the architecture and the people !! This is technical and practical !In friendshipMichelps ; In typing this I was wondering what were the roots of the word Bang Kok. Simple aleatory question …Was it already the name of the capitale of the kingdom of Siam . You left out one important topic…the restaurants ??? I like the idea and so far what you have reported makes it attractive to me. You bet I would go there! 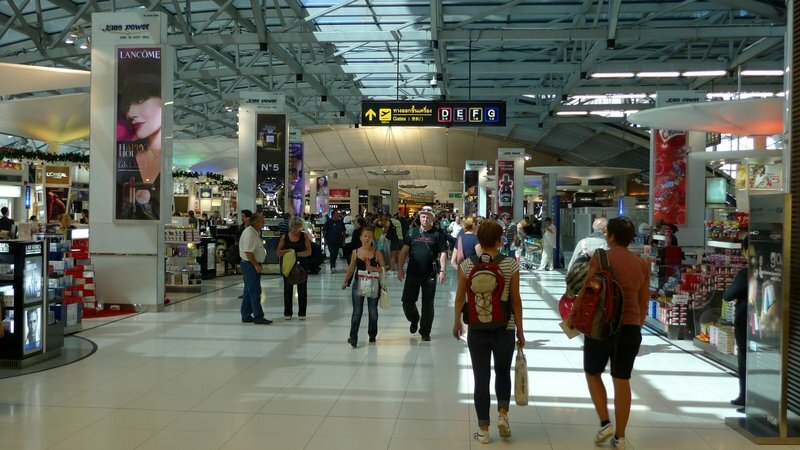 Suvarnabhumi Airport sounds like a hectic mess to travel through in comparison to Terminal 21! Do they have a Greyhound store or restaurant in this mall? The Golden Gate Bridge looks nice! What an ineresting theme for a shopping mall. Yet another mall for me to visit when I am in Bangkok! I guess the mall would be really popular with the tourists as well! 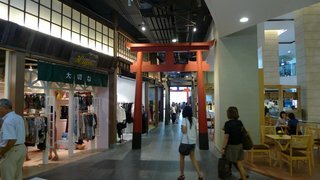 I really like exploring malls… Couple that with my interest in travel, culture and architecture, it looks like just the place for me! It must be nice to have such a mall. It’s a nice place to get lost in for a bit, although I’m sure you won’t be entirely conned into thinking you’ve actually travelled to San Fran or Paris, it would be great to have a sort of fantasy escape like this, while doing some shopping of course! to think that bangkok has enough malls to visit… sigh, guess i was wrong. unfortunately, this is all they could think up of creating in a dense metropolitan city, as in the case with jakarta. n they STILL building new ones. oh well, guess this means i have to go back to bangkok for another visit just to see what’s this hype about Terminal 21 is all about. No strip search or pat downs? This needs to have a bit more authenticity. hee hee… I hope the mall and the stores will survive the economic impact from the flood. Sure should switch the two!So if a guard were chasing someone into a differently-decorated area, does the guard have to stop?